Forward Back Together is a new commission from artist Simon Pope exploring the material transformations of Raymond Mason’s Forward (1991), commissioned by the city council, given as a gift to the people of Birmingham and later destroyed by that very same ‘public’. 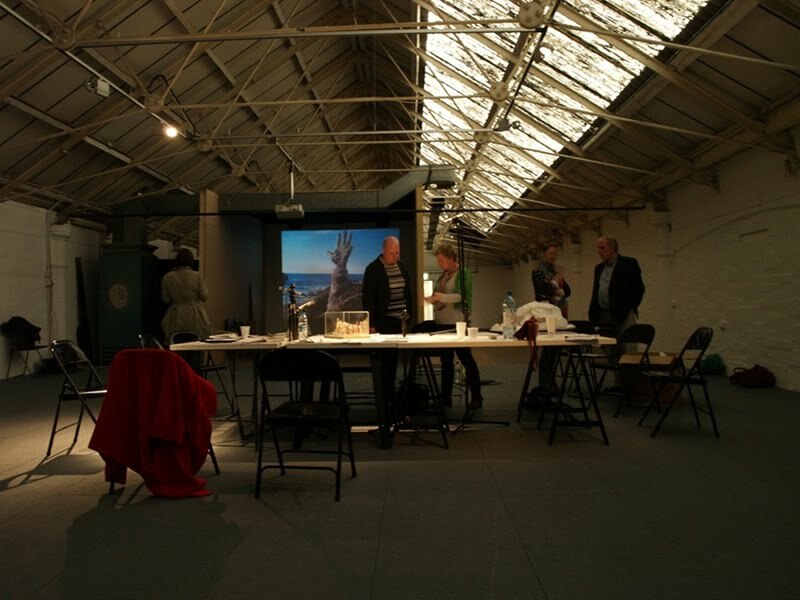 Using a participatory methodology, this dialogic work took the form of a series of meetings with key participants and a script-development workshop held at Vivid Projects on 11th June 2013. The work explores how various publics, produced at each points of the statue’s transformation, might improvise a fictional account of Forward’s life as a public artwork – from the point-of-view of the statue itself – from artists proposal and commissioning process, manufacture and installation, burning and removal. Simon Pope will be in conversation with Dr Saskia Warren on Saturday 6th July, 2pm at Vivid Projects – a limited edition of the transcript of the workshop will be available. You can also catch Simon Pope on Radio BBCWM speaking with Carl Chinn on Sunday 23 June from 12pm. Participants: Michael Diamond, John Hammersley, Simon Pope, Ben Waddington and Dr.Saskia Warren. With thanks to: Nigel Edmonson, Simon Redgrave, Lorna Hards and Helen Oliver at Birmingham Museum and Art Gallery. Commissioned by Vivid Projects and curated by Kaye Winwood.